has extensive experience handling all types of complex personal injury matters involving serious injuries. He has dedicated his practice to representing individuals who have been wrongfully injured through the negligence of others, as well as individuals subject to criminal investigations. 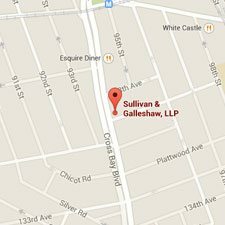 Prior to forming Sullivan & Galleshaw LLP, Mr. Sullivan was a litigation associate with the law firm of Wilson, Elser where he represented numerous insurance companies in defending various types of personal injury claims. 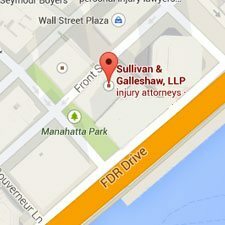 Mr. Sullivan is experienced in handling all personal injury and criminal defense matters. His practice areas include medical malpractice, motor vehicle accidents, construction accidents, work-related accidents, lead paint injuries, wrongful death, slip and fall, general liability, litigation and criminal defense matters in both New York State and Federal Courts. 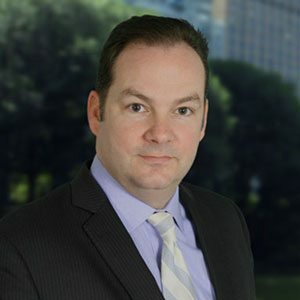 In addition to working at his law practice, Mr. Sullivan is an Adjunct Professor at area law schools and has been invited to be a guest lecturer to numerous law schools, including Syracuse University, Hofstra, UPenn, Cardozo, St. John’s, Touro, Western New England, Emory University and Widener. Mr. Sullivan also serves as the Deputy Commissioner for the New York State Athletic Commission, where he ensures the rules and regulations of the sport of boxing are complied with and upheld and assists in the functioning of the sport in NY. He is also the author of a monthly newspaper column titled “Sullivan’s Court”, which serves as a user-friendly know your rights introduction to the law for readers. 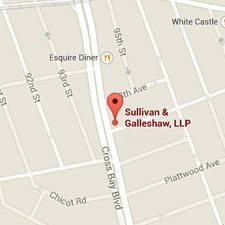 Mr. Sullivan is currently admitted to practice in the New York State Supreme Courts and the United States District Courts for the Southern and Eastern Districts of New York. Mr. Sullivan has been granted ‘pro hac vice’ admission into several other state jurisdictions in order to handle legal matters that ensured the full protection of his clients’ rights.